As we all know that the launch of the Samsung Galaxy Note 7 just weeks away. But leaks won't stop because of that. Today, we’re finally getting our first look at how the phone’s iris scanning security feature will work. 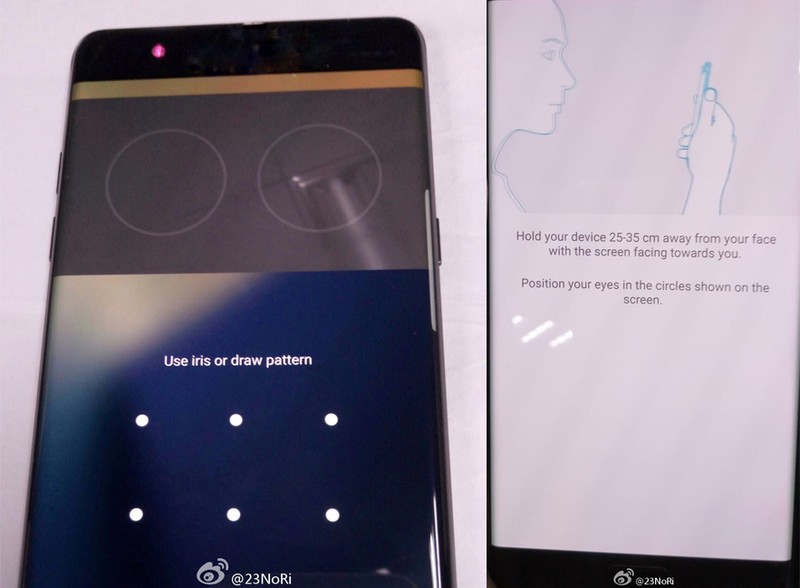 A few new images have leaked, showing one instructional screen on how to hold the device when using the iris scanning feature and a second photo which shows the Galaxy Note 7’s lock screen with iris scanning turned on. The instructional screen states that the phone must be held 25-35 centimeters (10-14 inches) away from the user’s face with the display pointed towards them and position their eyes within the two circles which appear on the display. The photo of the phone’s lock screen shows the camera turned on with two circles at the top and a pattern unlock at the bottom. We still don’t know what the iris scanning setup process looks like, but we imagine it will be similar to the trusted faces smart lock feature built into Android. We’re in favor of adding new technology to smartphones and tablets which make them more useful and more secure, but we doubt that a lot of people will be using the iris scanning security feature on the Samsung Galaxy Note 7 is it’s as cumbersome to use as Android’s built-in trusted faces smart lock feature. Yes, iris scanning should be a lot more secure than facial scanning, but there’s little chance that it’ll be more convenient than unlocking the phone with the fingerprint sensor. Do you think iris scanning will be the next “must-have” hardware feature on high-end smartphone over the next 12-18 months?